Not only do katanas have a reputation as the preferred sword of the feudal samurai, but their iconic shape allows for awe inspiring design variations. 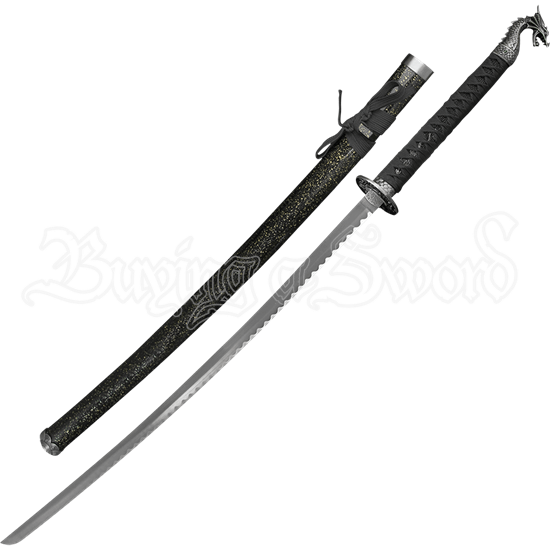 The Black Handled Gray Dragon Katana is one such adaptation to enhance your display. This single edged blade is crafted from stainless steel. The round guard is intricately decorated with dragon designs, adding a special touch. Wrapped in black cord, the silver hued handle features an eye catching dragon head on the pommel. 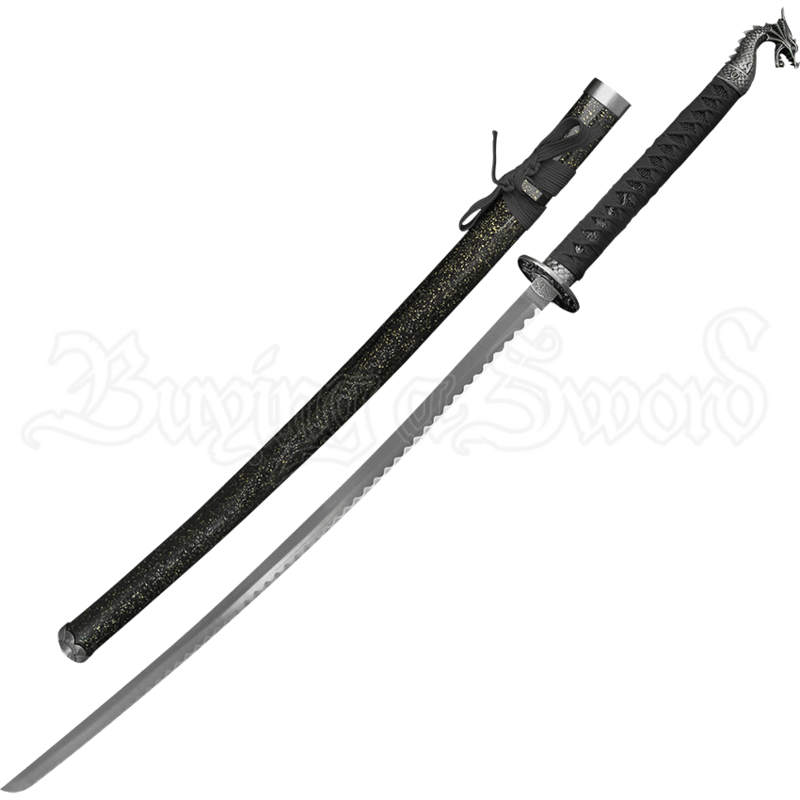 With a matching black scabbard included, this beautifully decorated Black Handled Gray Dragon Katana is protected until you are ready to display it in all of its glory.